Mount & Blade developer TaleWorlds will be showing off live gameplay from Mount & Blade II: Bannerlord at GamesCom 2015. Speaking as a completely objective person who totally hasn't sunk 400 hours into raiding, pillaging and conquering the countryside, I can safely say that the Mount & Blade series and its expansions are some of the most addictive RPGs ever made. They're the sort of games that you boot up intending to play for a few minutes only to find yourself still hooked on hours later. That in mind, you can perhaps understand why today's rare release of Mount & Blade-related news has left me so excited. What news you ask? The series' creators at TaleWorlds have revealed that they'll be showing off live footage of Mount & Blade II: Bannerlord at this year's GamesCom 2015 in Cologne, Germany. That might not sound like much, but it becomes more substantial when you factor in that fans have been clamoring for a deeper look at the game pretty much since it was announced back in 2012. 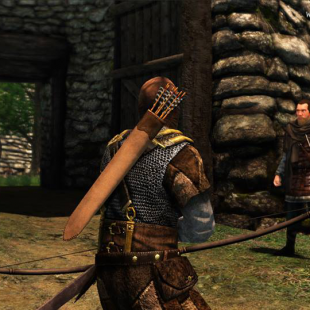 Perhaps even more interesting, the studio also revealed that it's currently working on "fully featured" ports of Mount & Blade: Warband for "the current generation of game consoles." It capped off these two announcements by sharing that the series, in total, has sold more than 6 million copies since its initial release back in 2008. Speaking personally, while a deeper look at Mount & Blade II is exciting, I'm almost more interested in the console version of Warband. Mount & Blade's control scheme isn't the most complex in the world, but there are still things I could see not translating well to the more limited button options of a controller. I'll be likewise interested to see what the studio means when it says the port will be "fully featured." While vanilla Warband is a lot of fun, it arguably pales in comparison to some of the expansions the game's received over the years. The recently "reforged" Viking Conquest DLC, for instance, makes vast improvements over the base game that longtime players like myself might not be willing to part with.